Yes we do. West End Co. is a Brisbane Rug store, however with our online rug store, all of our items are available Australia wide with free shipping. 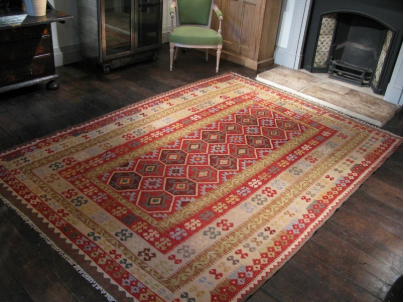 Please view our authentic range of Persian rugs, Tribal rugs, and kilim rugs online. Our rugs are sourced from traditional rug weaving areas of Afghanistan, Iran, Turkey, Pakistan, and India. From Baluchi rugs from Afghanistan, to Persian rugs from Iran, or Kurdish kilims, West End Co. is sure to have the piece you are looking for. ARE YOUR RUGS Machine made? No, our rugs are either hand knotted or hand woven. We do not deal in anything but genuine hand knotted rugs. What are your rugs made from? Our rugs are made exclusively from wool We do not have any rugs that are machine made or that contain poly fibres. We have free door to door courier delivery Australia wide. Insurance and tracking is available. Where is West End Co. located? You can find West End Co. at 222 Montague Road, West End, QLD, 4101.